Nothing feeds a growing family like a hearty, home-cooked meal. Beef stroganoff has always been a traditional dinner dish as generations of families have gathered around the table to share in this robust meal. It's no wonder that families have fallen in love with the rich, velvety sauce of seared beef and mushrooms that perfectly complement a warm bed of noodles. Our version of this dinnertime favorite holds true to the familiar flavors while adding creamy Cabot Greek Yogurt, smoky paprika, and baby bella mushrooms for a healthier, heartier sauce. We would love to know how you liked our modern twist on this classic recipe! Be sure to rate the dish and leave us a review with any tips for putting an original variation on the dish. Also check out our Greek Yogurt Substitution Guide and learn about all the great benefits you receive simply by eating Greek Yogurt. The seared top sirloin beef and 8 ounces of baby bella mushrooms create a tender, flavorful base for the sauce. Adding in &frac23; cup of Cabot Greek yogurt will add nutritious protein and give the broth added creaminess. Greek yogurt is a healthy alternative to the traditionally used sour cream in beef stroganoff recipes, so you can be confident that your family is getting a satisfying, healthy meal. Fresh dill and paprika will provide a sweet, slightly smoky garnish to top off the dish. 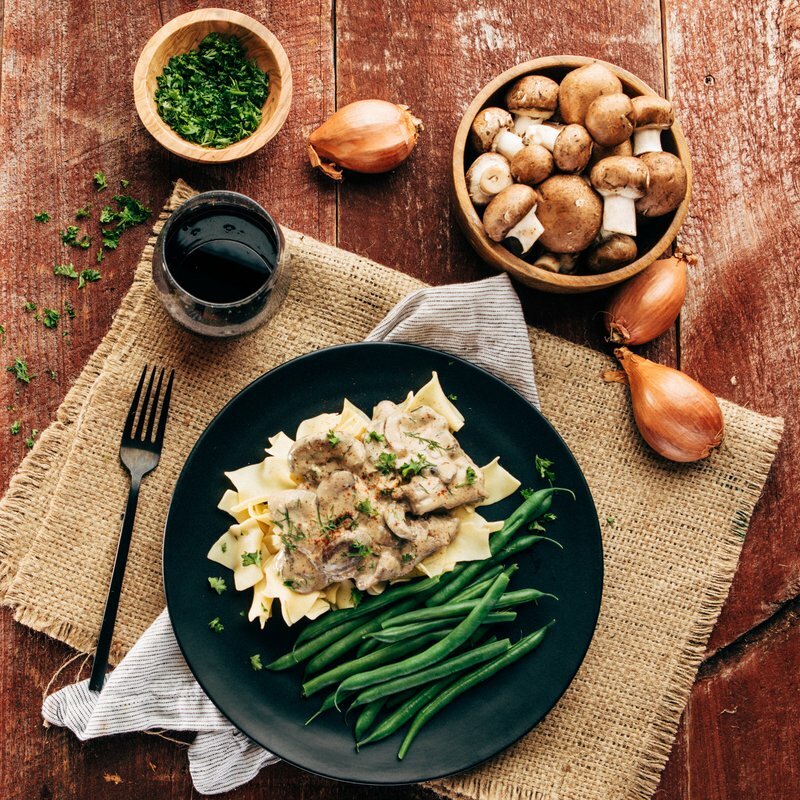 If you're looking for a new dish that your family will absolutely love, or an exciting twist to an already beloved dish, you can't go wrong with this beef stroganoff recipe! 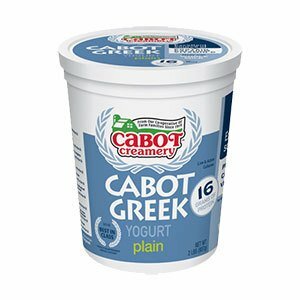 Cabot is owned by 800 farm families that are deeply committed to creating the highest quality products and recipes. From our family to yours, we want to share the hearty flavors of this classic dish, and we hope that you will leave us a review and let us know how you enjoyed the recipe! HEAT oil in large heavy skillet over high heat until very hot and shimmering. Add enough of beef so it is in single layer with pieces separated; cook until browned on both sides, about 1 minute per side. Transfer to plate and repeat until all of beef is cooked; set aside. ADD 2 tablespoons of butter to skillet, reducing heat to medium; add shallots or onions and cook until tender, about 2 minutes. ADD mushrooms and cook, stirring, for several minutes longer until mushrooms are tender and lightly browned. Add flour, stirring until it is lightly browned and blended in, 30 to 60 seconds longer. STIR in beef broth; bring to simmer, scraping up browned bits from bottom of skillet, and cook until thickened. Remove from heat. COOK noodles according to package directions; drain and toss with remaining tablespoon butter. RETURN skillet with mushrooms and sauce to heat; stir in reserved browned beef and any juices. When heated through, turn off heat under pan and add yogurt and dill, stirring until well blended. Taste and add additional salt and pepper if needed. Serve over noodles, sprinkled with paprika if using & parsley. I've been looking for the perfect stroganoff recipe for so long, and here it is!! I had hamburger and the recipe turned out awesome with it. Such well-balanced flavours with a delicious creamy sauce. This is absolutely the best recipe!! I have subbed sour cream when I don't have the Cabot yogurt. I also add a 1/4 cup good red wine to the sauce & reduce (prior to adding the yogurt). It is soooo good. I also flour the meat before searing as it makes the sauce thick and more tasty. (Might have to thicken a bit before the yogurt, also). I do not use dill, as I prefer fresh parsley and chives over dill in this recipe. 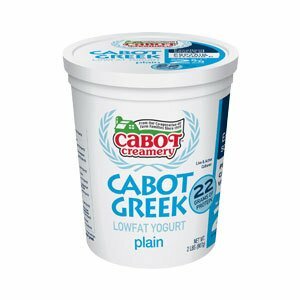 Just an addition: I love, love Cabot cheeses. Their quality is outstanding and their products taste better than other major brands. Great company!!! Excellent flavor! Wanted to reduce fat so used ground chicken instead of beef. And, added about 1/4 cup finely chopped celery like my Mom used to do. The chicken absorbed the flavors and sauce. I'll make 1.5X as much sauce next time. Classic stroganoff flavor. This was tasty. The recommended cut of beef was pricey when I went to buy it so I tried choice round tip steak that looked somewhat similar. It tasted great. but he loved it and can't wait for me to make it again.